Our Azusa table offers a relaxing alternative to standard bench tables. It’s square steel table top and contour bench with back make dining a pleasure. 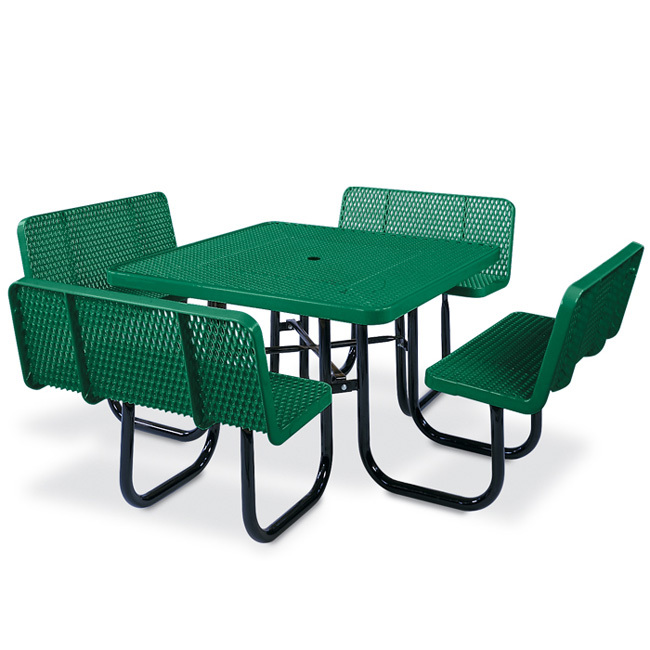 Benches are solid edge, one piece expanded metal with steel support splines.